We are engaged in providing Mobile development services in Hyderabad. Leading Exporter of Android, Mobile Development, Software Development Services, and SAP Mobility Solutions. Since our inception, we are instrumental in offering professionally managed Mobile Apps Development Service. These app development services are offered under the vigilance of skilled professionals who make use of advanced software and tools. 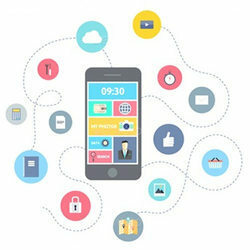 We develop a framework for the design, building and testing of mobile apps that can help individuals and business to stay productive from anytime. Looking for Mobile Apps Development Service ?